Modern four bedroom villa with private garden offering a large sunny terrace and sea views. Set in San Miguel Village, one of the most picturesque and prestigious areas in Golf Del Sur. Coastal penthouse apartment with large balcony and private roof terrace offering fantastic panoramic views . Fully air-conditioned and located on a prestigious complex with three swimming pools. Lovely apartment in an enviable position within the El Mirador complex in Los Cristianos, Tenerife. South facing balcony and private roof terrace with panoramic sea views. Ideal for couples, this superb apartment is only a few minutes walk from both the old and new towns. Beautifully furnished, fully equipped and offers stunning views. Over 30s only please. Casa Carmela - Luxury 3 / 4 Bed Villa,heated Pool! Luxurious, fully detached, spacious villa in Alamos Park, Golf Del Sur. Lovely views of the mountains, golf course, Atlantic ocean and the little fishing village of Los Abrigos. Four bedroom comfortable villa in the La Quinta area with a private solar heated pool and private outside space to sunbathe or dine. Gorgeous views over the golf course to the sea. A lovely spacious and peaceful three detached bedroom villa with a sunny garden and views of the mountains. Ideal for relaxing with a large swimming pool, plenty of sunbeds and a shaded terrace. This high quality 3 bedroom apartment offers beautiful sunny terraces and fantastic sea views. Enjoy a gorgeous heated pool and on-site restaurant and bar. The Monsenor apartments are located on a hillside with fantastic views of the sea and surrounding mountains.They are set in a nice quite village away from the hustle and bustle where you can relax. This stunning, luxury 4 bed penthouse has huge sunny terraces, combining the highest standard of accommodation with a wonderful location including fantastic sea, golf course and marina views. 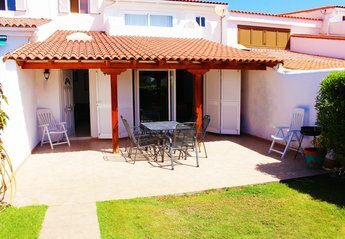 A modern 3 to 5 bed villa with private heated pool and sea views in a prestigious area of Los Cristianos, Tenerife. Spacious two bedroom apartment over two floors with two terraces overlooking the pool area. Located in the Palms Golf and Country Club ,Golf Del Sur. Very popular complex with two swimming pools. Lovely penthouse apartment located on the Port Royale Complex of Los Cristianos. Offers stunning panoramic views of the sea and harbour from sunny balcony. Beach and harbour only a short walk away. Spacious beachfront two bedroom penthouse, with stunning views of the sea and the mountains from two large private terraces. The complex also has two swimming pools.